They’re intended to improve fuel economy… but getting the PCM involved could mean more trouble codes. 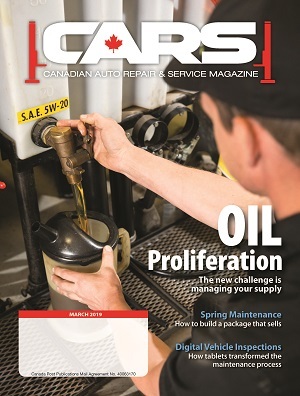 When we think of the connection between lubrication and fuel economy, we often think about engine oil that has a particularly low viscosity. But have you given much thought to how much engine power is consumed pumping the oil through the engine? Well if you haven’t, don’t worry. Vehicle engineers have been thinking about it for a while now. Over the past few years, they’ve identified yet another area on the engine that the powertrain control module (PCM) can control. Yes, they’ve started to control how much power the oil pump steals from the engine… and although the gains in efficiency might seem rather small, every little bit counts when you’re trying to improve fuel economy and lower CO2 emissions. Multiplied over the fleet of vehicles on the road today, it adds up to a significant amount. Internal combustion engines have had oil pumps for decades, and almost all of them are driven directly by the engine. The most common designs are the gerotor (the name is derived from “generated rotor”), the spur gear pump, and the vane-style pump. They all have one major thing in common: they’re fixed positive displacement pumps. Most oil pumps are driven directly off the nose of the crankshaft or indirectly from the camshaft or crankshaft, using the distributor/blind shaft drive, a cogged belt, a chain drive, or a series of gears, just to name a few of the most common designs used over the years. If the circled O-ring is missing, a code P06DD can be set on a Chrysler or Jeep. The problem with the fixed displacement oil pump is that at an idle or other low-RPM scenario, the oil pump is turning slowly because of its direct link to crankshaft speed. This means that in order for it to deliver enough oil to all the moving parts in the engine, it has to be designed oversized. While under low RPMs, the oil pump will produce adequate oil volume and pressure to provide engine protection. But when the RPMs increase, that amount of oil is overkill. Traditionally, the excess oil is bled back into the oil pan or sump by the oil pressure bypass valve or relief valve, or it might be recycled internally in the pump. Diagram of a gerotor pump. Under most normal operation, the oil pump consumes more energy from the engine than is actually needed… and this inefficiency creates a parasitic power loss. Given our current obsession with fuel economy and emissions, parasitic losses just aren’t acceptable anymore. Using a variable-displacement oil pump is one way to trim those losses. While some form of pressure release valve still needs to be incorporated into the pump’s designs, the output volume of the pump can now be controlled. There are two different ways to do that: dynamically or passively. The passive system controls the amount of oil flow using a combination of springs in the relief/bypass valve assembly. During high RPMs, or when the oil is of a high viscosity, a calibrated spring allows oil to be bled off, dumping it back to the sump or recirculating it into the oil pump itself, and thereby reducing the amount of energy that the oil pump uses. These filters are for very specific years of the same Chrysler 3.6 V6. They will fit in the same housing but they are not the same filter. Special attention has to be paid to ensure the proper filter is installed… or a ‘Service Engine Soon’ light will illuminate, or other issues will follow. VW uses this kind of system, claiming that it reduces oil pump effort by as much as 30%. It is also said to extend the life of the engine oil because less is being circulated. And a passive system also prevents the engine oil from foaming because the pump can maintain a regulated pressure across a wide range of operating conditions. Despite these benefits, the leading technology when it comes to volume control is the dynamic method – largely because it can be controlled by the PCM. In the dynamically controlled system, the oil pump’s output may be altered in steps (high and low), or it could be controlled very specifically to produce exactly the pressure or volume that the manufacturer needs for optimal engine protection and overall performance. Mazda SkyActiv, for example, controls the output pressure with an oil control solenoid that varies the relief valve open pressure, enabling either a high or low pressure oil output. Other manufacturers are going down a different avenue: variable displacement engine oil pumps. This regular 2014 Ram pickup with a 3.6 V6 has a dual speed oil pump. Variable displacement oil pumps are of two common designs, the gerotor or the vane style. Some manufacturers favor the use of the vane-style pump because it’s more efficient… even if it is more complex and quite expensive to produce. The gerotor pump, on the other hand, has found its own champions. In both designs, the size of the cavity inside the pumping chamber is changed to control the volume of oil that is pumped. And, in both cases, there is some form of control fixture to vary the pump’s displacement. The oil pump’s design dictates how the oil volume is controlled. The fixed displacement gerotor pump works by using trochoid gears, an inner gear (typically attached to the crankshaft), and a driven outer gear. Because both of the gears follow a different centre of rotation, the spaces between the teeth create a pumping effect (with a suction side and a pressure side). It’s this space that controls the volume of the pump. To convert this pump to a variable displacement a control ring is added around the outer gear. This ring changes the centre of rotation of the outer gear and, by doing so, changes the volume of the pump. This is the connector that goes to the dual speed oil pump control solenoid through the side of the engine block at the front just behind the timing cover. The control ring is actuated hydraulically (using engine oil pressure) and its position is regulated typically by a PWM (pulse width modulated) solenoid. In a fixed displacement vane-style pump, the inner slotted rotor has variable-length vanes that rotate in a fixed elliptical chamber. By changing the volume of the cavities between neighbouring vanes, a pumping action is created as the rotor rotates. Similar to the gerotor a PMW oil pressure-controlled actuator is attached to the elliptical part of the pump and the volume of the pump’s cavity size is changed as it is rotated. The PCM will also need to know the temperature of the engine oil. When the oil or engine is cold, the viscosity has to be higher, and the PCM needs this information to determine the position of the actuator that regulates the displacement of the oil pump. There may be an actual oil temperature sensor but in many cases the PCM will calculate a value using existing sensors (ECT/IAT) and use things like load and engine-speed parameters to calculate the pumps displacement. Similar to almost all the other systems on the vehicle, we now have the PCM heavily involved in another engine operating system… and that could mean trouble codes. Simple things like the wrong viscosity of engine oil could set a trouble code. There could also be trouble codes for incorrect oil pressure, and solenoid or actuator issues. There may be a PID for the actuator’s commanded position and some bi-directional controls as well. Some situations such as engine overheating, low oil pressure, or oil-pressure actuator solenoid issues could trigger the PCM to limit or reduce the engine’s power to prevent damage. A 2014 GMC pickup with a 4.3L V6 could set a P06DD or P06DE if it detects an issue in the oil pressure control solenoid circuit for less than a quarter of a second… and this will put the engine in reduced-power mode. But a similar code P06DD on a Chrysler or Jeep 3.6L V6 could mean that either the incorrect oil filter has been installed or the O-ring on the bottom of the proper oil filter is damaged or missing and the expected oil pressure isn’t being achieved. So does all this control and complication actually result in any fuel savings? Yes, it does. 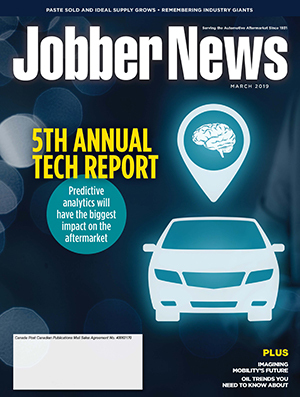 Some manufacturers claim a 3% to 6% increase in fuel economy under both hot and cold starts and better economy during high-speed engine operation. The gains are likely more in the neighborhood of about 1% for the average engine, but lower oil pressures on oil pressure timing chain tensioners produce lower friction and decrease parasitic losses. There are other benefits that come from controlling the amount of oil flowing through the engine. For example, heat transfer can now be better controlled in the pistons and cylinder head assemblies, allowing for faster warm up and better efficiency. And with the use of turbo chargers, oil flow can be used to reduce the formation of carbon. The effect of controlling oil pressure is something the manufacturers are going to continue to explore over the coming years. And you can be sure that variable displacement oil pumps are going to be used extensively from now on. There are very few vehicle manufacturers that are not using some form oil pump control. The reason is clear. It saves fuel. 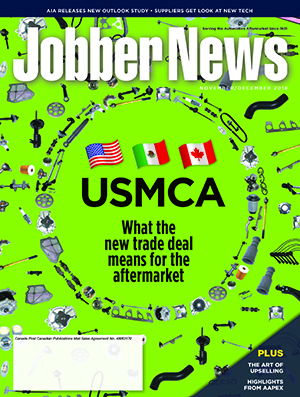 Jeff Taylor is a former ACDelco Technician of the Millennium and Canadian Technician of the Year. 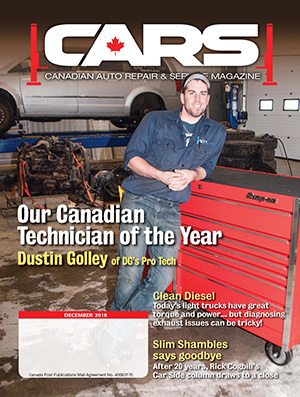 He’s the senior tech at Eccles Auto Service in Dundas, Ont.